Cleaning the dirt and grime off your horse requires finding and using a horse brush. A cowboy’s horse is his most valuable asset next to his gun, so taking care of it is of utmost importance. 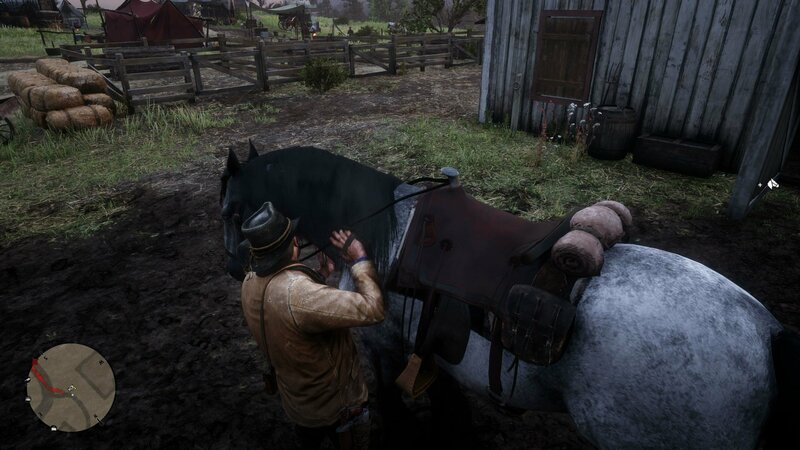 One way to care for and bond with a horse is to brush it, though knowing where to find a horse brush early in Red Dead Redemption 2 isn’t exactly clear. 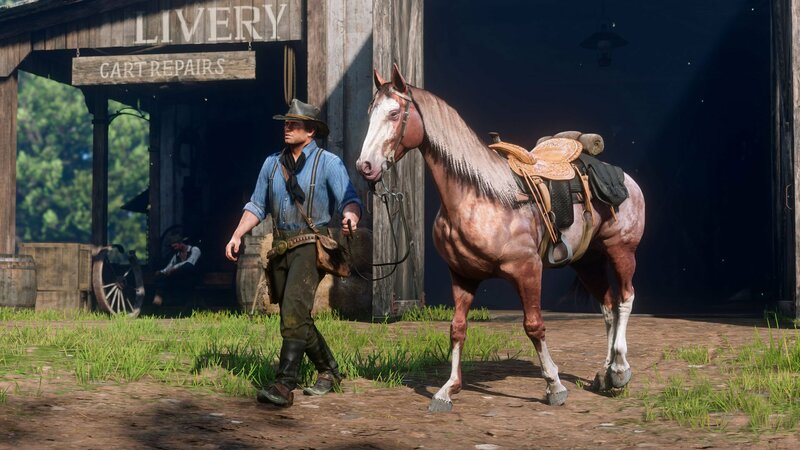 To get a horse brush, players will need to start up a hunting quest with Hosea after reaching Valentine for the first time. This hunting quest is called Exit Pursued by a Bruised Ego, it tasks players with tracking down a large game animal. Hosea will ask the player to take the Shire horse into town to sell it, and to purchase another horse at the stables. There is a horse that can be purchased for zero dollars, which will save players a bit of cash early on in the game. After purchasing the horse and any extras, players will be given a horse brush as part of the transaction. This horse brush can be used on any horse by simply approaching a horse (preferably one that is owned), holding left trigger, and then pressing left on the d-pad. Brushing a horse will clean off any grime and muck and restore the horse to its fully functioning condition. Be sure to check out our other guide on horse bonding, grooming, and reviving so there are no surprises when it comes to taking care of a steed. Swing by the Shacknews Red Dead Redemption 2 walkthrough and guide for even more explanations and articles on where to find various items.